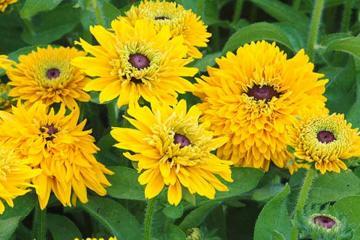 Compact, dwarf bushy habit with strong stems bearing large double golden yellow flowerheads with brown-black centres. Free flowering all summer. Bedding, borders and containers, also good for cut flowers.